If God gave us His best in Jesus, shouldn’t we desire to give our best back to Him and to those we serve through our work? 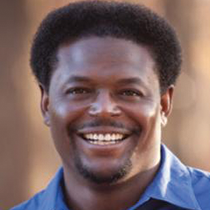 Pastor Derwin Gray shares 5 characteristics of excellence. Everything we do is a reflection of who we are and who we worship. If God gave us His best in Jesus, shouldn’t we desire to give our best back to Him and those we serve through our work? Whether you flip burgers, mop floors, work as an executive at a Fortune 500 company, or serve on the hospitality team at your local church, do it with excellence! Like a talented tattoo artist, imprint your ‘divine design’ at your workplace with such excellence that God will be glorified! I want to share 5 characteristics of excellence that helped me become an NFL player and now infuse me with strength as a pastor and as a leader. 1) People who are excellent at their jobs are PASSIONATE about what they do. It’s impossible to be remarkable at your job if you’re not passionate about what you’re doing. Passion is a dynamic quality that adds flavor and life to a task. Passion doesn’t allow you to do anything subpar. Passion compels you to put your best foot forward, especially when no one is looking. Are you passionate about what you’re doing? If not, why? What will you do differently? 2) People who are excellent at their job are LEARNERS. If you don’t know what you’re doing, it’s next to impossible for you to be excellent at your job. I was a better NFL player in my fifth year than in my first year. Why? Because I studied and learned the details and nuances of the game. This translated into better performance. Are you learning the details of your job? Are you putting in the extra effort to be excellent at what you do? If not, why? What will you do differently? 3) People who are excellent at their job have a FEROCIOUS WORK ETHIC. Lots of people talk about being excellent, but very few have a work ethic that produces excellence. Sadly, I’ve found that many are okay with being mediocre at their jobs. I think mediocrity occurs because people miss the integration of faith into their work life. We’re not working for ‘the man,’ we’re serving the Lord of the universe with the talents with which He has blessed us (Colossians 3:22-25). Do you have a work ethic that produces excellence? If not, why? What will you do differently? 4) People who are excellent at their job have the ability to FOCUS. We live in age of many choices and distractions. As a result, we get distracted doing so much that we do little to nothing with excellence. Excellence requires focus on that ‘one thing’ and having a bulldog mentality to fight off distractions and pour yourself into the primary task at hand. Are you easily distracted? Are you doing so much that you’re not doing anything with excellence? What will you do differently? I learned in high school that if I wanted to earn a college football scholarship, I had to sacrifice. That meant not doing some of things that my peers were doing. At times it was painful. But those sacrifices enabled me to have my college education paid for and empowered me to play six years in the NFL (Colts 1993-1997 & Carolina Panthers 1998). Moving from mediocrity to excellence is going to cost you something; maybe something very valuable. Are you willing to sacrifice for excellence? If not, why? Be a great artist! Tattoo everything you do with excellence for the glory of God.